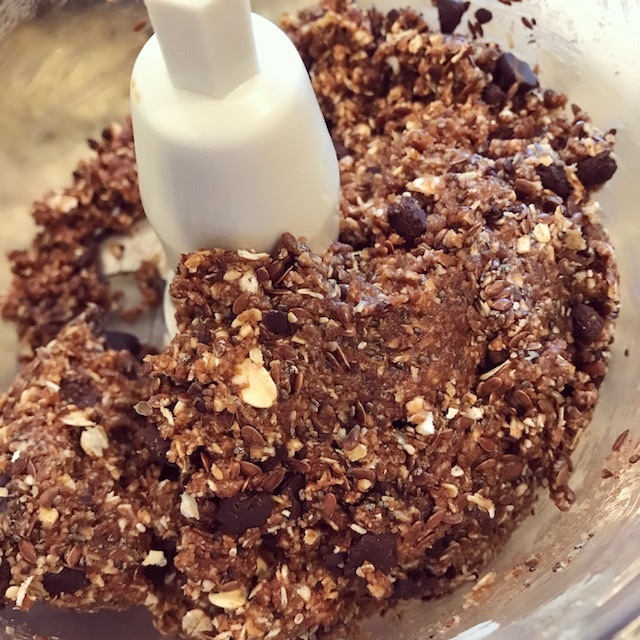 Lactation cookies you can make easily at home! 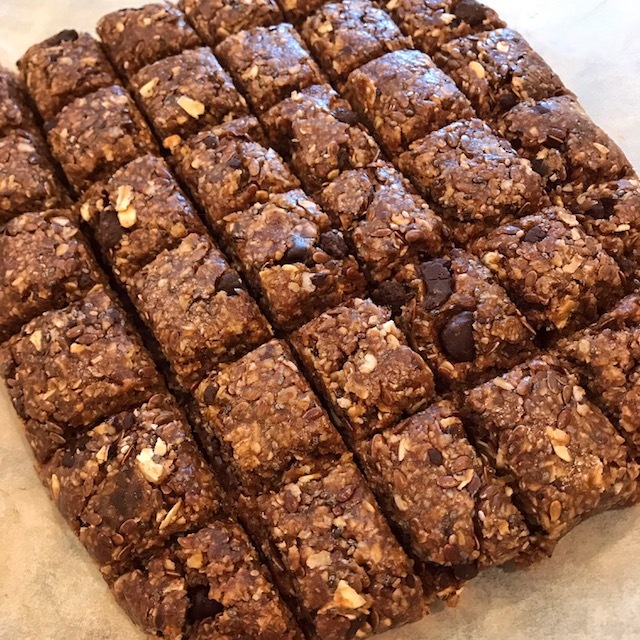 For new Breastfeeding Moms, these no-bake lactation cookies or energy bites also have proven natural ingredients that help with lactation. 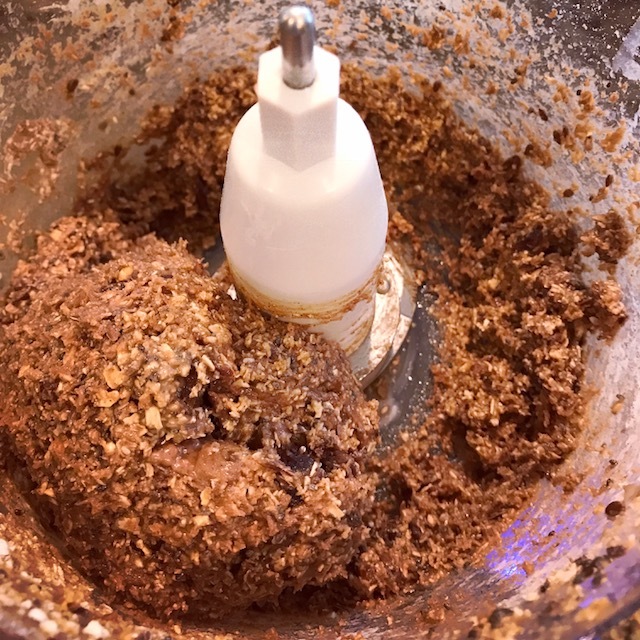 My No-Bake Lactation Cookies recipe contains brewer’s yeast, organic rolled oats and organic flax seed — all 3 proven natural ways to increase milk supply in already lactating mothers! All 3 are also super nutritious and super energy-boosters (my husband hates the word super for some reason so of course I get a special kick out of using it ?). 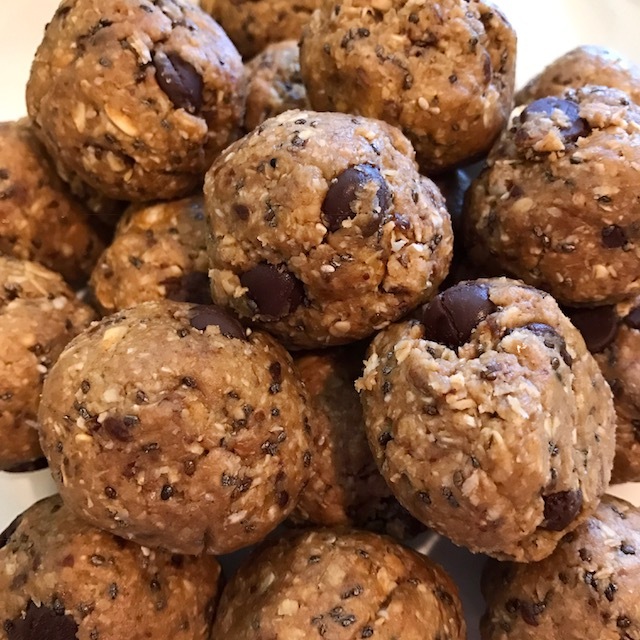 These No-Bake lactation cookie Bites help boost my milk supply and provide a quick, energizing snack when I don’t have the time (or hands) to make myself something healthy. If you didn’t know, I recently had a baby boy – in other words, I recently gave birth to the love of my life! 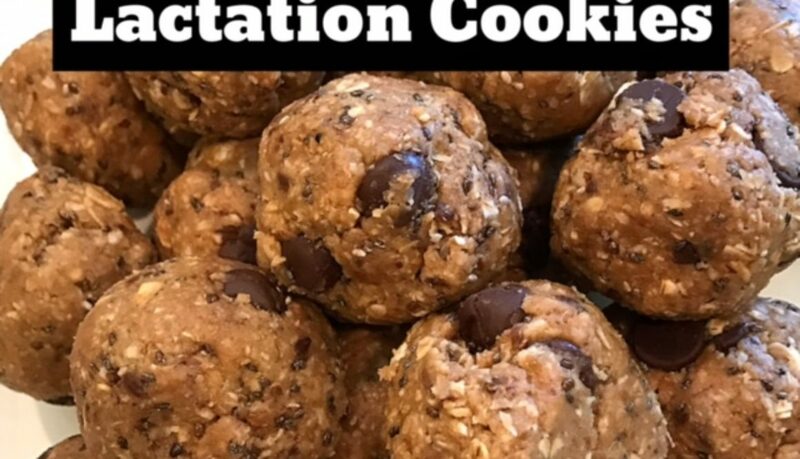 Whether you are a Mom (or Dad), whether you are breastfeeding or not, these lactation cookies are essentially ENERGY bites and are FULL of GOOD FOR YOU foods. These lactation cookie [energy] bites are PERFECT between nursing sessions (like at 3am when you’re suddenly famished — just me? 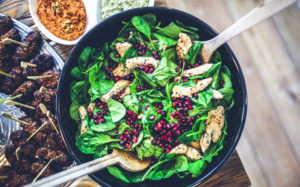 They are also great before a work out, sports, or at a job that keeps you from having time for a nutritious lunch or snack. Oh, they are also YUMMY! *If you are dairy-free, I recommend Enjoy Life Chocolate Chips – they are dairy, soy & nut free! They also make super fun Chocolate MEGA Chunks! 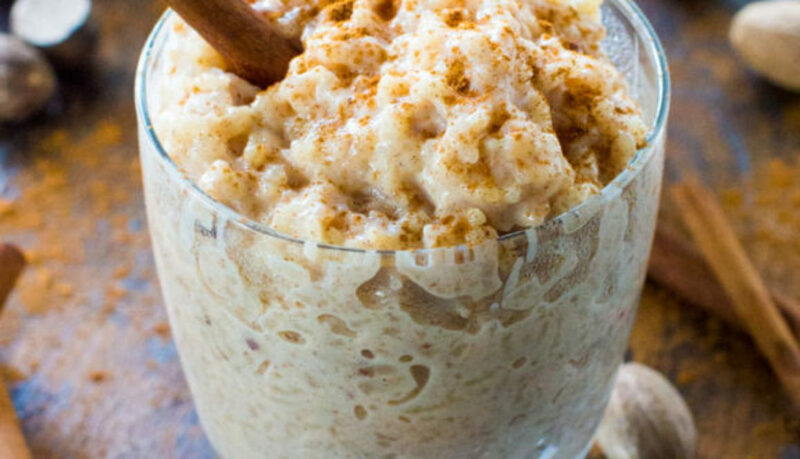 Add 2 cups rolled oats, brewers yeast, flax seed, cinnamon and pinch of salt to food processor. Process 45-60 seconds until mixture resembles texture of coarse flour. 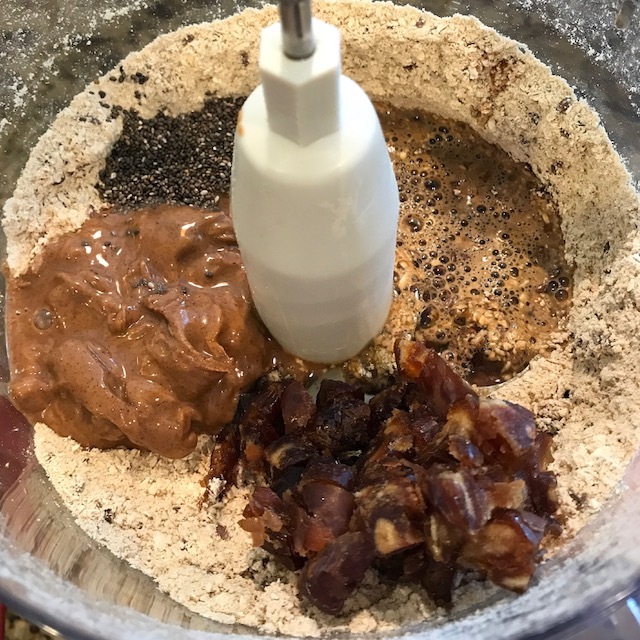 In separate bowl, combine coffee (or water), maple syrup and vanilla extract, then add to processor along with chopped dates, chia seeds, nut butter. Blend for about 20-30 seconds until mixture comes together. Scrap sides of processor with spatula. 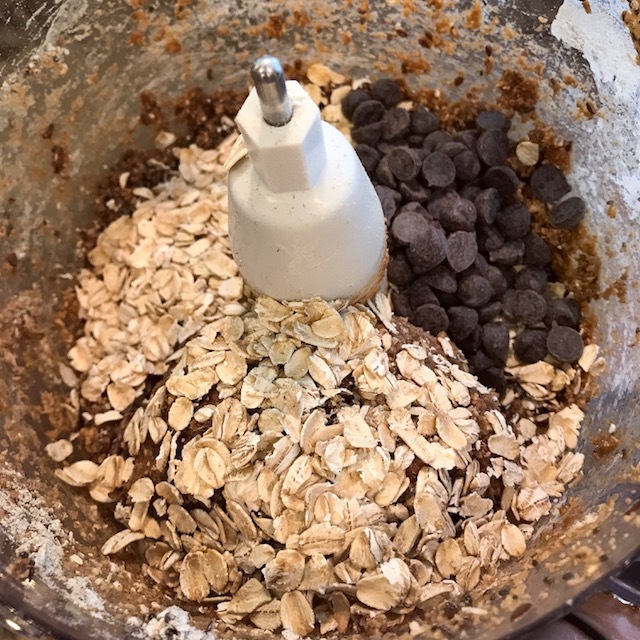 Add remaining 1 cup rolled oats, and optional add-in ingredient – I used dairy, soy & nut free Enjoy Life chocolate chips – yummy! Blend about 15 seconds, scrape sides of processor, then blend an additional 15-30 seconds to make sure it all comes together. 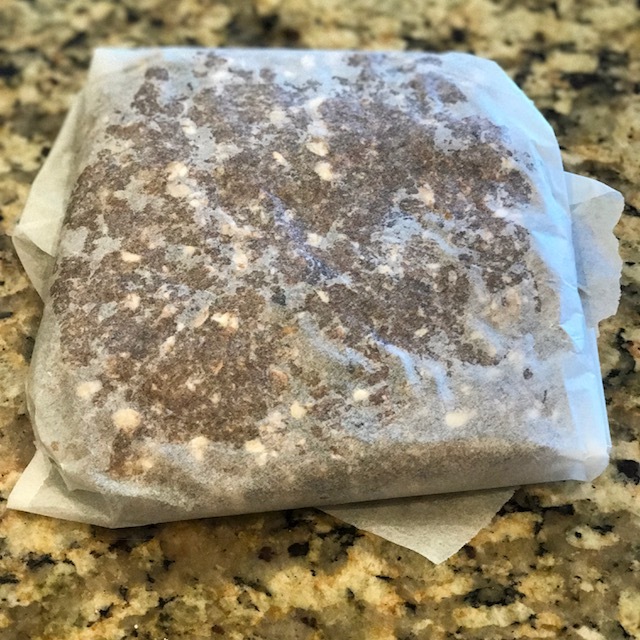 Transfer mixture to a piece of parchment paper. Use paper to bring mixture together and form a level, even square. No worries, it definitely doesn’t have to be perfect! Use a knife to score then cut into 24 pieces. You can leave them as is, or roll into balls – Rolling them helps them come together in individual bites. TIP: Put a tiny amount of water on your palms to help with rolling & less sticking. Store in airtight container & store for up to 10 days. Mine never last that long! Lots of breastfeeding moms struggle with either a worry about or a true lack of milk supply. I’d highly recommend speaking to a Certified Lactation Consultant if you are struggling – ask your doctor or birth center to connect you with organizations in your area that can help. Healthy Start and La Leche League are great organizations I worked with when I began my journey. If you’re struggling on your breastfeeding journey, know that you are NOT alone. Breastfeeding is HARD. 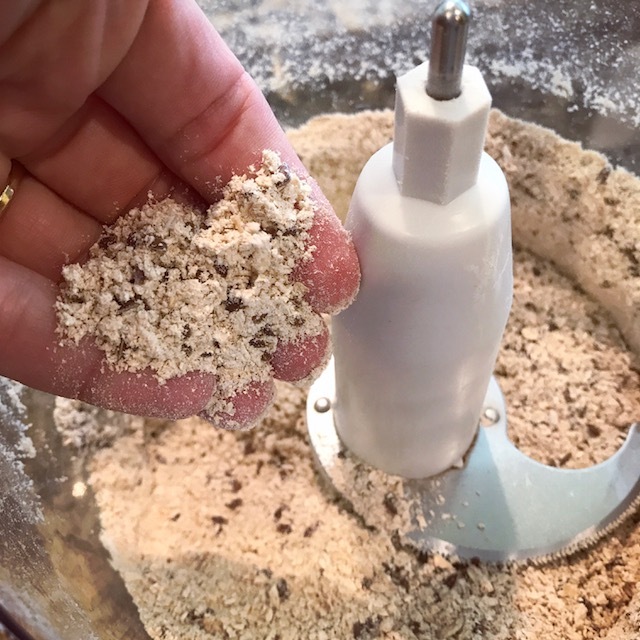 If you prefer to purchase Lactation cookies ready made, my friend and sorority sister over at The Mom Life raves about Milkmaker’s Lactation cookies! By the way, by far my most used God-send of a baby item — The Auto Rock n’ Play by Fisher-Price — they have a few options (basic, auto, deluxe, premium)… do yourself (or the person you gift it to) a HUGE favor and at least get the deluxe! So, on a whim, I made this recipe up. So now that you must have COMPLETE confidence in me, let me share the glory of my wingin’-it Pumpkin Pie Bread. and, I made it in my [Instant Pot] Pressure Cooker! How cool is that? Confession: I made this Pumpkin Pie Bread 4 days ago… and I have one slice left… and I haven’t shared… with anyone. Can I blame the fact that I am 31 weeks pregnant for eating the whole thing by myself (with frosting)? *passed down from my Grandma, my Nonna Maria – it is super special ? Prepare bundt pan – lightly spray with cooking spray, then coat very lightly with flour (add about 2-3 T flour to sprayed bundt pan and tap it around so coat). Lightly tap bundt pan to loosen and remove all excess flour. Preparing the bundt pan will ensure the bread does not stick. Prepare pressure cooker – add 1 1/2 cups water to bottom of pressure cooker pot, and place trivet / cooking rack on top of water. In separate mixing bowl, whisk dry ingredients – flour, baking soda, baking powder, salt, spices. In large mixing bowl with hand mixer or stand mixer, blend butter and sugars until light and fluffy, about 45-60 seconds on medium high speed. Scrape bottom and sides of bowl with spatula to ensure all is combined. Add maple syrup, vanilla and oil. Blend well, about 15-30 second on medium high speed. Add pumpkin. Blend well, about 15-30 seconds on medium high speed. Add eggs 1 at a time until just combined, about 15 seconds after adding each egg on medium speed – do not over mix eggs. Add half flour mixture, blend just until combined, about 15 seconds on low speed. Add remaining dry ingredients and blend just until combined, another 15 seconds on low speed. It’s okay to see some flour not totally combined. 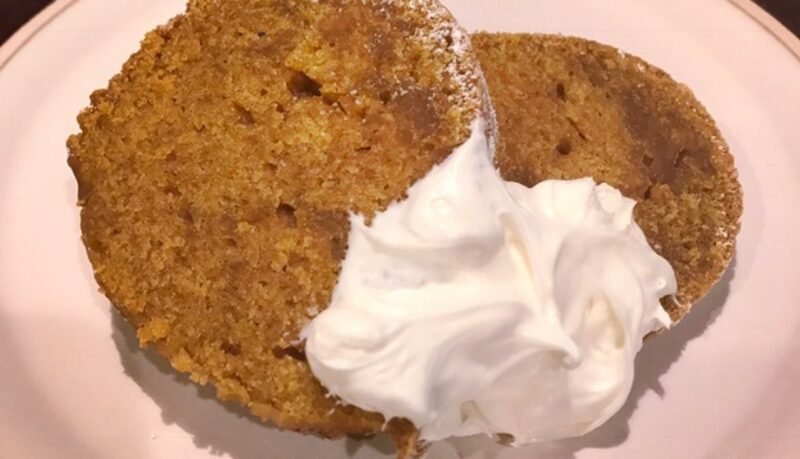 Use your spatula to gently mix in the remaining, then transfer pumpkin pie bread batter to prepared bundt pan using a spatula to evenly distribute. Tap bundt pan on counter to get rid of larger air bubbles. Cover bundt pan with foil and place covered bundt pan on trivet in Pressure Cooker. Close lid and close vent knob – for Instant Pot, turn vent knob to “sealing”. Cook for 45 minutes on High Pressure – for Instant Pot, press manual then adjust time to 45 minutes using +/- buttons. NOTE! If not using this bundt pan (http://amzn.to/2i1jbZ4), but using a round or springform pan, you will likely need to increase cook time from 45 mins to 50-55. When cook time is complete, allow pot to naturally depressurize (NPR) for 10 minutes, then quickly release any remaining pressure (QPR). Carefully remove bundt pan from Pressure Cooker – I tilt my inner pot slightly and use a towel to remove the bundt pan. Allow to cool for about 10 minutes before removing it from bundt pan. Allow Pumpkin Pie bread to cool completely before cutting and serving. I like to serve after chilling it for at least an hour int he fridge with some powdered sugar and a dollop of a frosting of your choice – I like cream cheese or vanilla frosting for this! Up to you ? Why do I call this Banana Bread Cake made in my Instant Pot both Cake and Bread? Well, I honestly couldn’t decide… Was it more like cake? Was it more like bread? Truthfully, I make banana bread in the oven all the time. It is typical banana bread, in taste and texture. This recipe is definitely different in texture — its actually much lighter & more moist. This Banana Bread Cake is delightfully sweet, delightfully tender, delightfully dense, delightfully moist… delightfully everything! This Banana Bread Cake is awesome and I made it without ever having to turn on my oven which in turn heats my always-hot-anyways Florida home – winning! 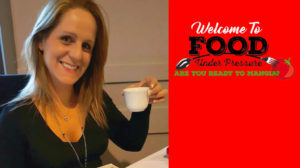 Why use my Instant Pot Pressure Cooker and not my oven? The prior sentence is good enough reason for me… Thanks, Instant Pot! 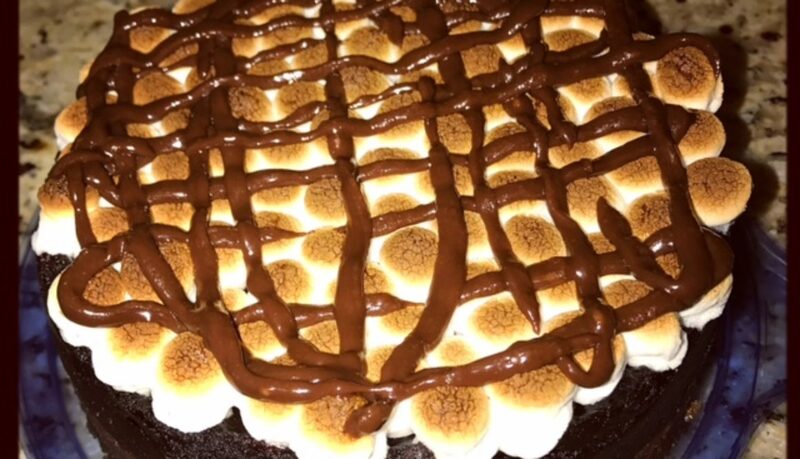 You can eat this plain, dusted with powdered sugar or topped with a frosting of your choice — my fave being cream cheese frosting, but if you have chocolate lovers, go for chocolate; if you have cream cheese haters, go for vanilla — it’s ALL good! 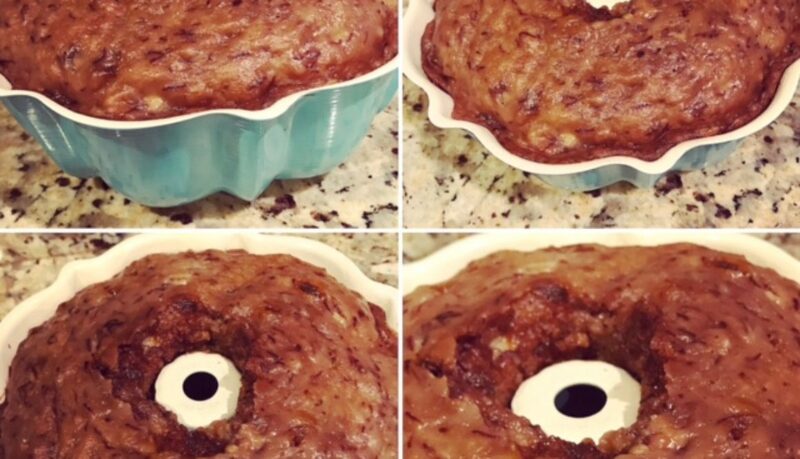 You can make this Banana Bread Cake with a variety of mix-ins to switch it up, too! My family’s favorite is chocolate chips! The world is your oyster; the world is your Banana Bread Cake! Grease and flour bundt pan — I use cooking spray and a couple tablespoons of flour to coat the bundt pan. This will ensure your banana bread cake won’t stick. In medium sized mixing bowl, whisk all dry ingredients (properly measured flour, salt, cinnamon, baking soda, baking powder). Set aside. In large mixing bowl, using electric mixer, blend oil, butter, sugars and vanilla until very well combined, about 45 seconds on medium speed. Scrape all sides and bottom of mixing bowl. Add both eggs, blend until just combined, about 10-15 seconds on medium speed. Add dry ingredients, and mix on low speed until just combined, perhaps 20 seconds. Add optional mix-in, if desired. I added chocolate chips! Mix very lightly to avoid over-mixing batter. Place bundt pan on trivet, then place in Instant Pot over water. *The trivet that comes with the Instant Pot has handles which make it easy to put in and take out of the pot! If your trivet does NOT have handles, create a foil sling (folding a long piece of foil length wise) and use it to place bundt pan in your pot – this will also help with taking it out after it’s cooked. Press Manual (High Pressure), and adjust cook time using “+/-“ to 47* minutes. I’ve tried 45, not quite enough; 50, a few too many; 47 is where I’ve decided the sweet spot is! After pressure cooker comes to pressure, cook time countdown will begin. When cook time countdown is complete, allow pressure cooker to naturally release pressure (NPR) for 5 minutes. Quickly release remaining pressure (QPR). Open lid, and carefully remove bundt pan — it’s pretty snug in there! I solicit the help of my Silicone mitts and perhaps a hand towel and either grab the handles on my trivet, or the foil sling. Remove foil and allow Banana Bread Cake to cool for about an hour. Seriously… just look at this gorgeous, beautifully risen, tender Banana Bread Cake! 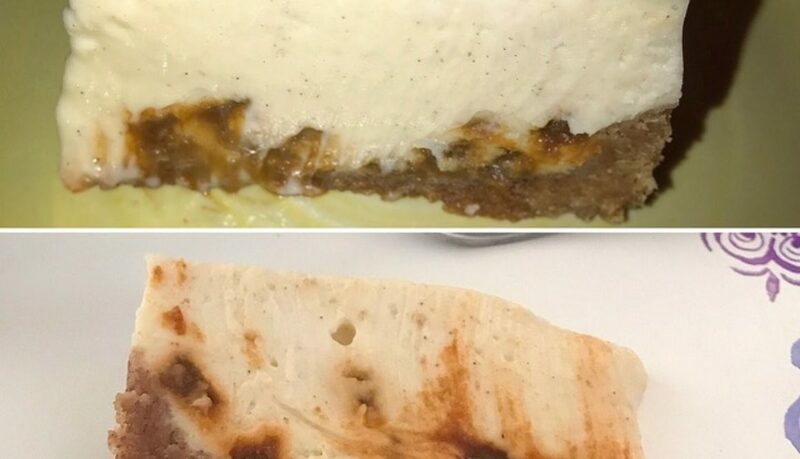 Once cooled, run knife around the outside edge and inside edge of the cake to loosen. Place a plate over bundt pan, then lift bundt pan and flip over onto plate. Serve plain, with powdered sugar, or frosting of your choice. I like to serve a dollop of frosting on the side so the beautiful Banana Bread Cake is exposed in all it’s delicious glory! Add optional mix-in, if desired. Add water to pressure cooker insert. Place bundt pan over water in Instant Pot on trivet using trivet handles, or create a foil sling. Close lid and close vent knob, then set cook time to 47 minutes on High Pressure. When cook time has completed, allow pressure cooker to naturally release pressure for 5 minutes, then release remaining pressure and remove lid. Serve as desired, with icing or powdered sugar or plain - it is incredibly delicious as is! Mmmm… cornbread. I love cornbread. I love cornbread with a lot more than chili – it’s a great bread-side to most any meal. Love it. What I don’t love though – really crumbly cornbread. Anyone else dislike crumbly cornbread? I use the ingredients the both calls for, but I also add a pinch of salt, black pepper and my trick is (shhhh) 1/4 t baking soda. What?!? Why you ask? Because I want to make SURE it is light and fluffy and I find that extra kick of baking soda (in addition to whatever Jiffy already puts in it) does the trick! Another trick! Beat the egg and milk the box calls for thoroughly before adding to dry box ingredients. This will help prevent you from over-mixing the cornbread batter – you really want it to just come together, perhaps even a couple lumps still. Do NOT over-mix! One more trick – use a springform pan! I use the Nordic Ware 7 inch non-stick springform. 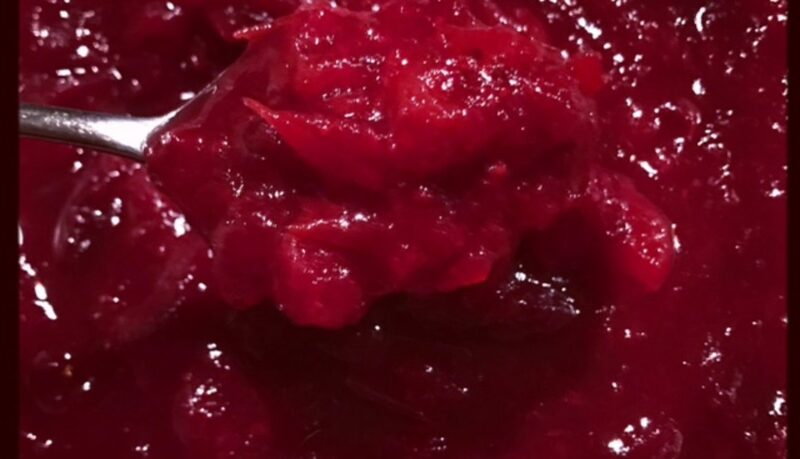 This is especially important in the Instant Pot. 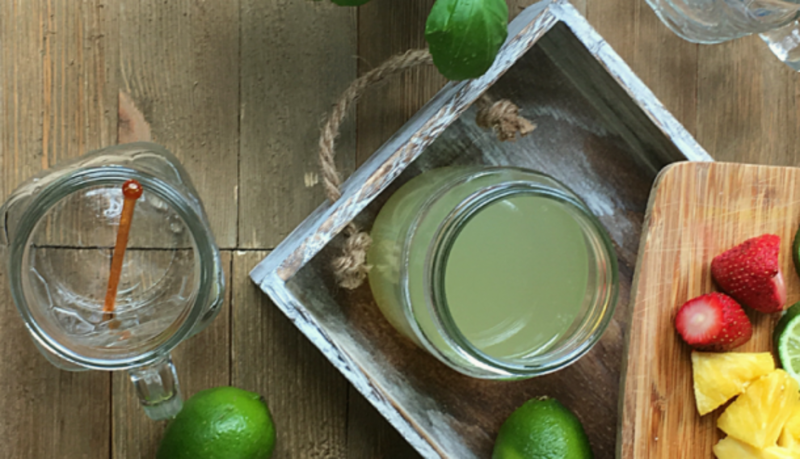 A round glass Pyrex would work, too. I have my favorite Instant Pot accessories, and this springform pan is high on the list! Of course, I always cook it in my oven. And, sadly, it’s usually a certain level of crumbly. 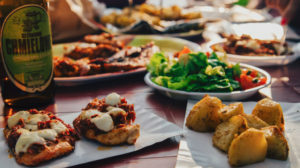 The habit I was getting into was making corn muffins – I found that at least this allowed a solid serving without crumbs until the person eating it had it on their plate. Better than trying to cut it and serving them crumbs. Cornbread, in the Instant Pot? I honestly didn’t think would work. When I opened the lid, I thought for sure it would be raw, or overcooked, or rubbery, or something weird. It was PHENOMENAL – quite honestly, it was thee BEST cornbread I have EVER had. It was moist, it was fluffy, it was that perfect sweet Jiffy cornbread always is. Pour 1 cup water into bottom of Instant Pot (IP). Place rack over water (the rack that comes with the Instant Pot works well). Lightly spray 7 inch spring form pan with cooking spray (you can also use a pie dish that will fit into IP, or any oven safe bowl). Crack egg into small mixing bowl, add milk, and beat thoroughly. Add salt, pepper and baking soda. Mix thoroughly. Add Jiffy cornbread mix. Lightly mix until just combined – do not over mix. Pour batter into springform pan. Scatter butter on top of batter. Close lid, turn vent to “Sealing”. Press “Manual” and adjust time using “+/-“ buttons to 10 minutes. Instant Pot will take 5-10 minutes to pressurize, then cook time countdown will begin. When cook time is complete, IP will beep and change to Keep Warm setting. Allow IP to naturally release pressure (NPR) for 10 minutes, then release the rest (QPR). 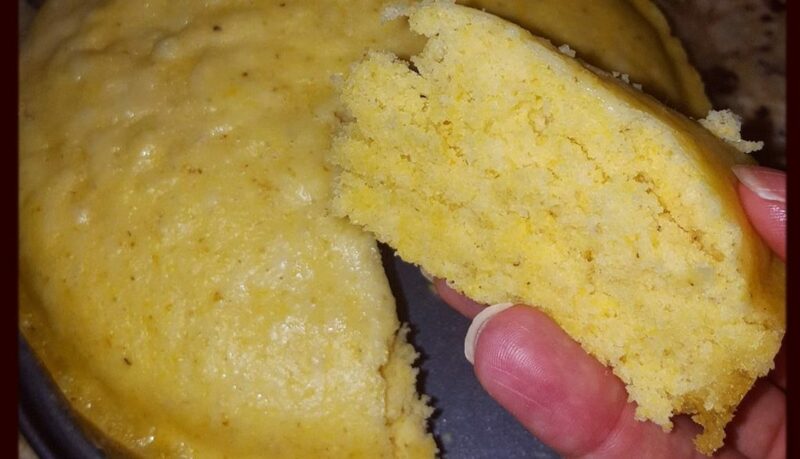 Perfect Semi-homemade Cornbread, straight out of the Instant Pot! And while they do, get another one cooking because you’ll probably need seconds and then some!